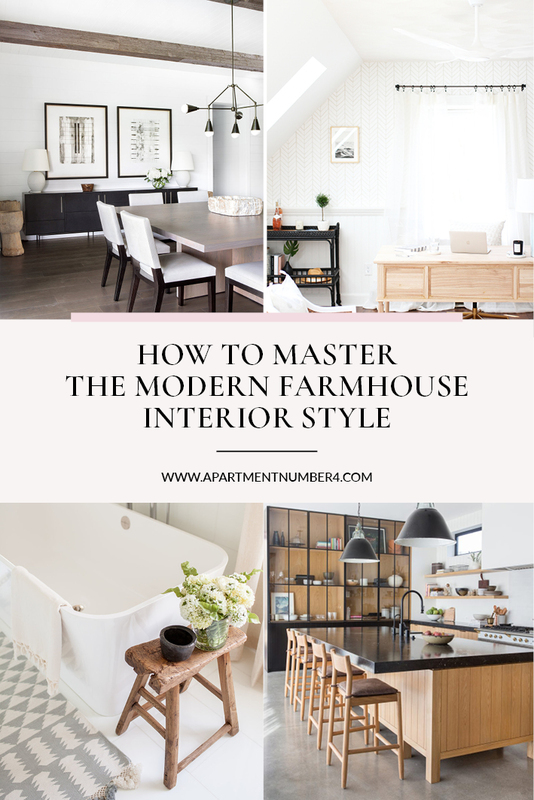 When it comes to interior design, modern farmhouse is a style I could get on board with every single time. 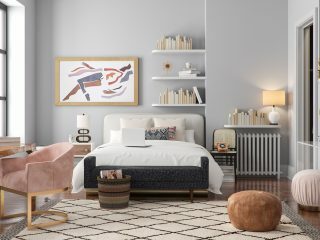 There’s a real charm to it,with warm cosy textures and a simple but striking colour scheme. 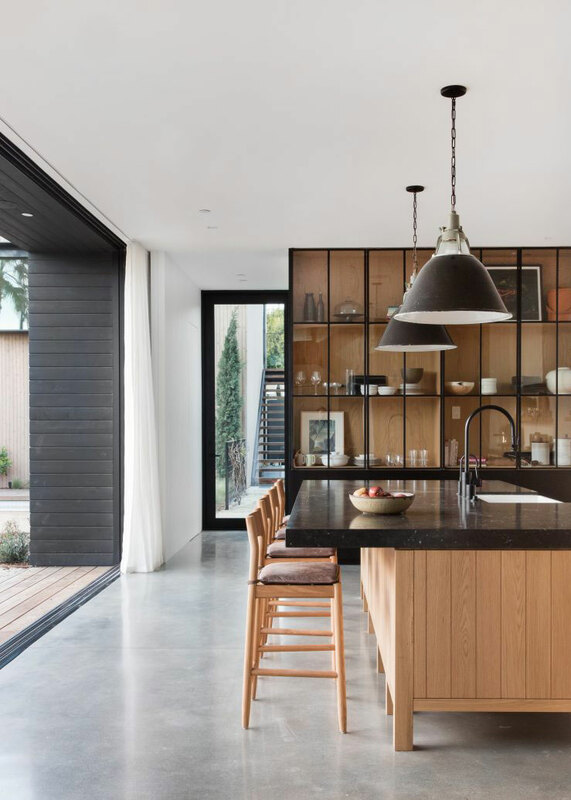 The fact thatit incorporates industrial elements, such as open shelving, pendant lighting, galvanisedmetal, and hanging barn doors, makes it even easier to fall in love with thisstyle of décor. You just have to look at the popularity of Chip and Joanne Gaines from Fixer Upper to see why the modern farmhouse style works so well. 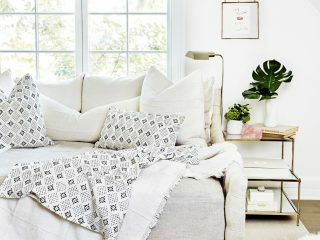 Joanna epitomises this style with her interior design – if you haven’t caughtan episode yet, it’s a must-watch, even just for the onset chemistry betweenthis couple. Plus, her shop Magnolia is farmhouse heaven. Described as rustic yet refined, the key to making this interior work in your own house is blending old with new. Old leather chairs, with amodern reading lamp, for example, or black crittall windows teamed with white shiplapwalls. 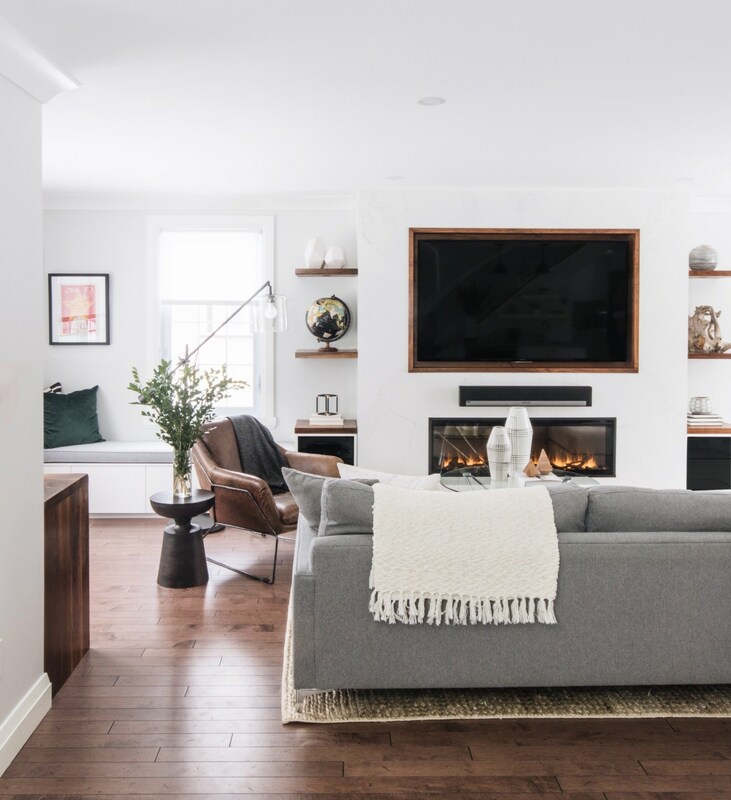 The beauty of modern farmhouse décor is that it balances both feminine and masculine elements of design, creating the perfect family home. 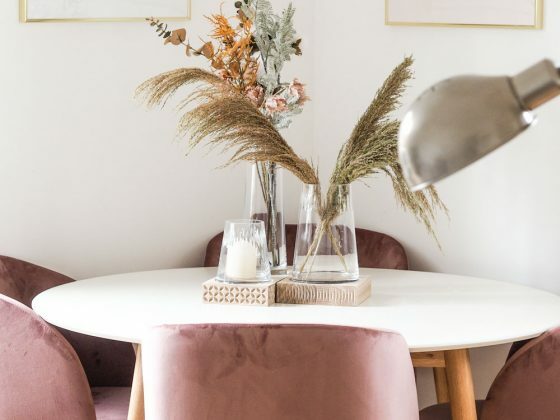 Today I wanted to share some of my favourite interiors within this category, as well showing you how to get a similar look yourself on the high street. 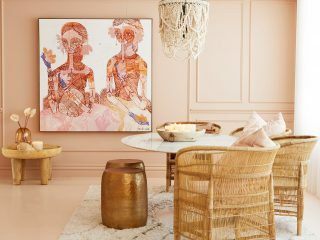 Starting with this stunning project from Amber Interiors. 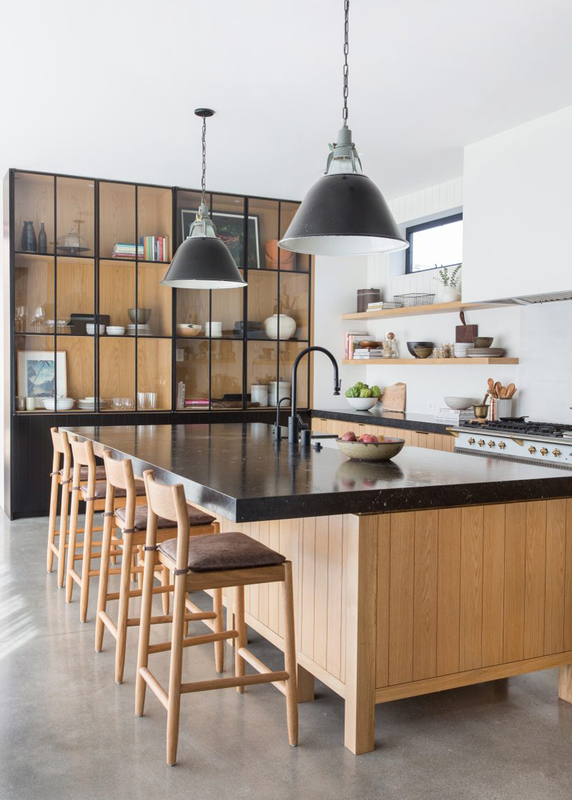 This inbuilt black cabinetry with glass inserts creates a modern focal point to the room, whilst still showing slightly more traditional ceramics, glassware, cookery books, and vases. 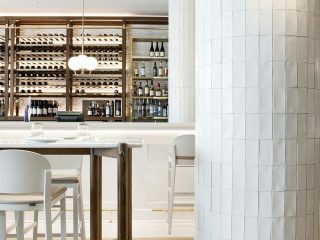 There’s a real juxtaposition between materials in this room, as black marble sits on top of the wooden island, and wooden bar stools play host to leather seat cushions. 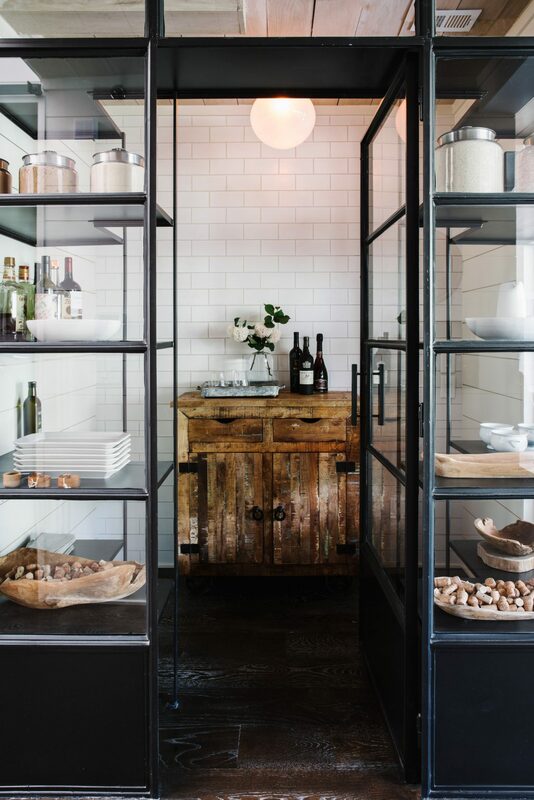 If you’re looking to update your kitchen in a modern farmhouse style, consider open shelving for a relaxed, lived-in feel. 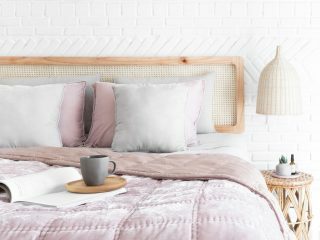 A simple way to a little modern farmhouse flair to your existing décor is to use reclaimed wood and vintage furniture. 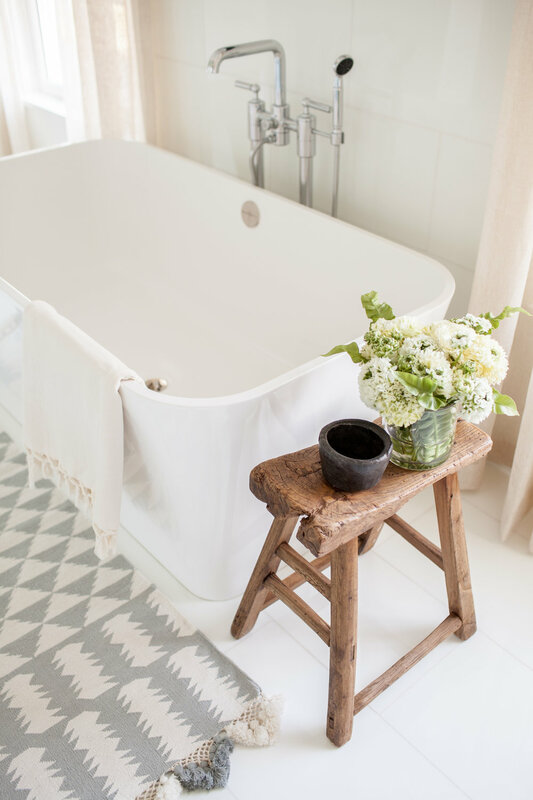 Take this old beaten-up wooden bench, used to hold decorative items in this modern white tiled bathroom – the pieces that tie these two together are actually the Turkish towels and woven rug, adding a tactile “bridge” between both elements. 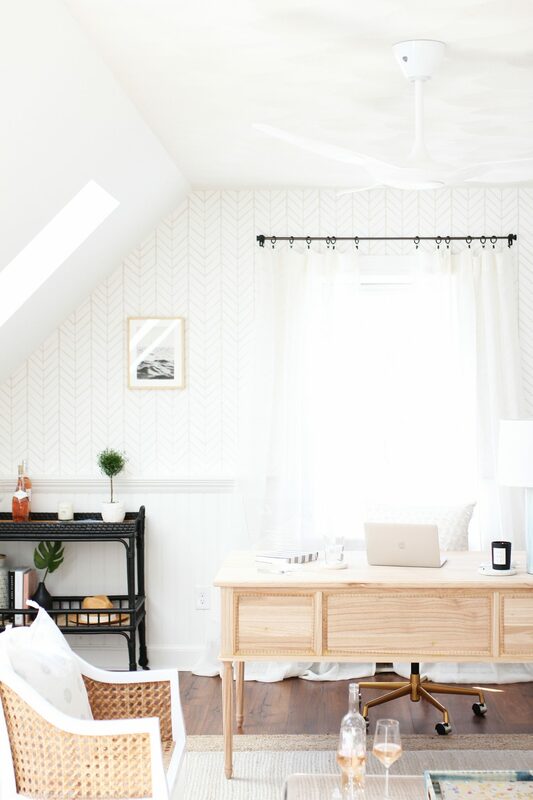 This office design, meanwhile, utilises the monochrome colour palette modern farmhouse is famous for. Wrought iron curtain poles with cream linen drapes are an easy way of translating this style into your own home. 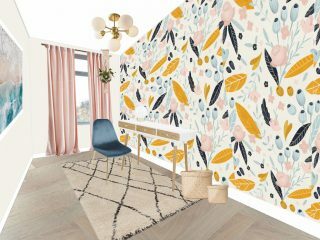 This works particularly well against the chevron wallpaper and wooden wall paneling. 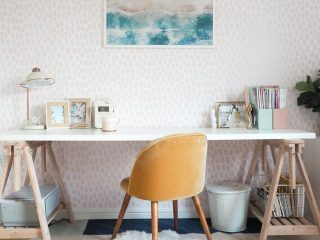 Plus, the vintage desk and modern office chair once again show how blending old with new works perfectly. 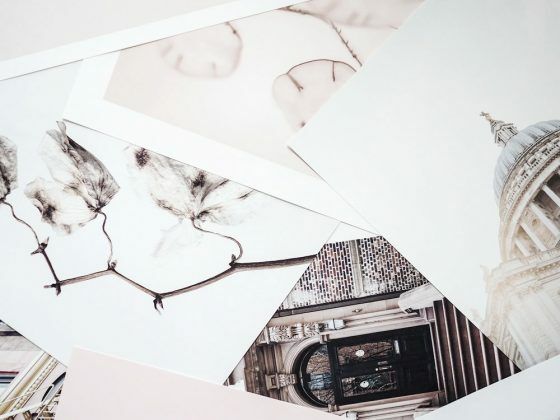 Before I share some ways in which you can create a similar look at home, here are a few more snippets of inspiration to whet your appetite. 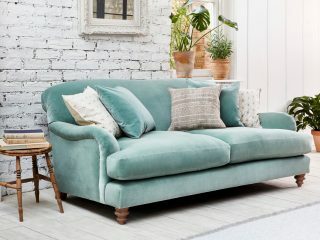 If this is an interior style you’re fond off, I’ve pulled together some of my favourite pieces available to buy now – from furniture investments to accessories suited to a modern farmhouse interior. Are you a fan? Could see this working in your own home?